Some are dismissive of it. Advice like, “To attract more money, keep the stove clean” doesn’t help, either. But others take feng shui very seriously. In 2005, Hong Kong Disneyland moved the park’s entrance 12 degrees after consulting with feng shui experts. Rather than obsessing about compass directions, my take on feng shui more relaxed. Let’s use its principles to make your home feel more balanced. After all, who doesn’t want a harmonious home? 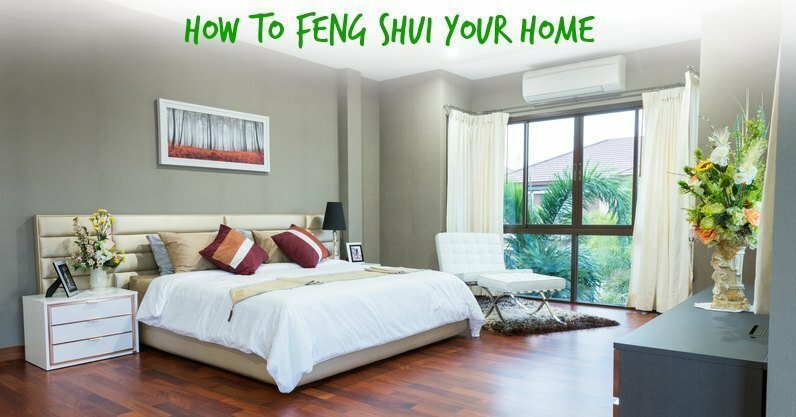 Keep reading for easy ways to apply feng shui. First, feng shui is not about putting lucky bamboo everywhere. “Good feng shui decorating will never scream for attention…but rather create an energy that is vibrant, happy, and harmonious,” writes KnowFengShui.com. Feng shui’s general principles are similar to the KonMari method: Get rid of clutter and embrace minimalism, but hold onto things that bring you joy. Fresh air and good lighting are vital. And your home should be easy to navigate, so keep plenty of open space. Ultimately, if it speaks to you, do it! Feng shui is all about how energy flows through your room. Here are some popular feng shui beliefs on how to arrange furniture. Try them out — or not! Feng shui should be a helpful tool, not a rigid mandate. So take these with a grain of salt. Your bed: Feng shui has a lot to say about bed placement. First, there should be a good solid wall behind your bed (not that many people float their bed in the middle of the room). Balance both sides with nightstands or something similar. And if possible, your bed shouldn’t be right next to your door. “Doors usually have a strong flow, or rush of incoming energy. This energy can be very unsettling and too active,” writes feng shui expert Rodika Tchi. Your sofa: As interior designer and feng shui master Catherine Brophy told Real Simple, your sofa should go “against a solid wall — ideally, the wall farthest from the entry — with a clear view of the door. Leave a few inches of breathing room between the sofa and the wall.” Apparently we should have a good view of the door both from where we sleep and sit! Your electronics: Keep the television, cell phone, and laptop out of the bedroom — their energy can interfere with sleep. Bonus points for not placing your bed against a wall that has your TV or other electronics on the other side. Your living room furniture: Your goal is to facilitate communication in your living room. It should be a place where everyone feels comfortable. So instead of pushing chairs back against the wall, cluster them facing your sofa, perched at the edge of your living room rug. Plants and water: Natural elements like plants and fountains are symbols of positive energy. Just make sure there aren’t any dripping faucets or stagnant water, both of which are apparently bad for feng shui. And avoid water imagery or mirrors on the wall behind your bed. 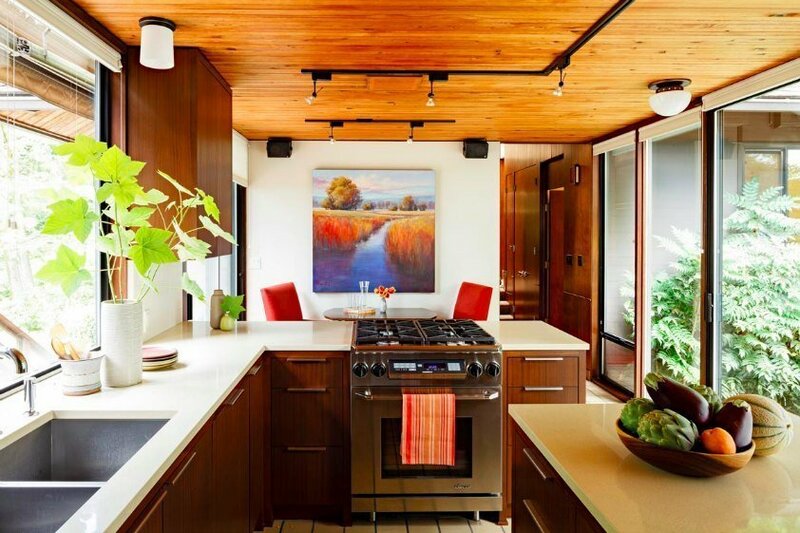 Your kitchen: Keep your kitchen airy and bright, with several lighting sources. Minimize clutter and gadgets — keep only ones you love and use regularly. Any natural element like a bowl of fruit or vase of fresh flowers in your kitchen will boost the positive energy in the room. For love: This one’s a little out there. Many feng shui experts say that if you’re single and looking for love, make sure you have physical space for a partner. So buy things in pairs, like two accent chairs or nightstands instead of one. And consider leaving a little space in your closet or dresser as a symbolic gesture that you’re open to having someone else in your life. Kooky, I know, but some people swear by this! Feng shui consists of five elements: wood, fire, earth, metal, and water. To make these elements work for you, look at an area of your home that feels off. Try to figure out what it’s missing…and then add that element. The goal is balance and harmony. Water is inherently soothing. When you see a photo of a tropical beach paradise, you can practically feel your blood pressure drop. 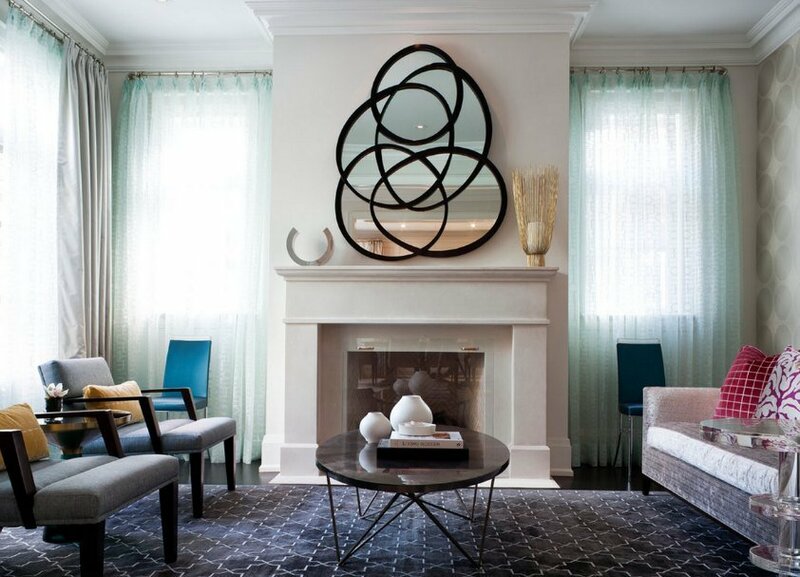 Adding a little blue decor, wavy or curved design elements, and mirrors can bring some calming energy to your home. Or add a small fountain for the sound of running water. Metal is no-nonsense! If you’re feeling frustrated or lazy, metal can help. And not only actual metal elements, but also the colors gray and white, or a silver accent pillow. Round shapes are also associated with metal in feng shui. Feeling cold and lonely? Feng shui to the rescue. 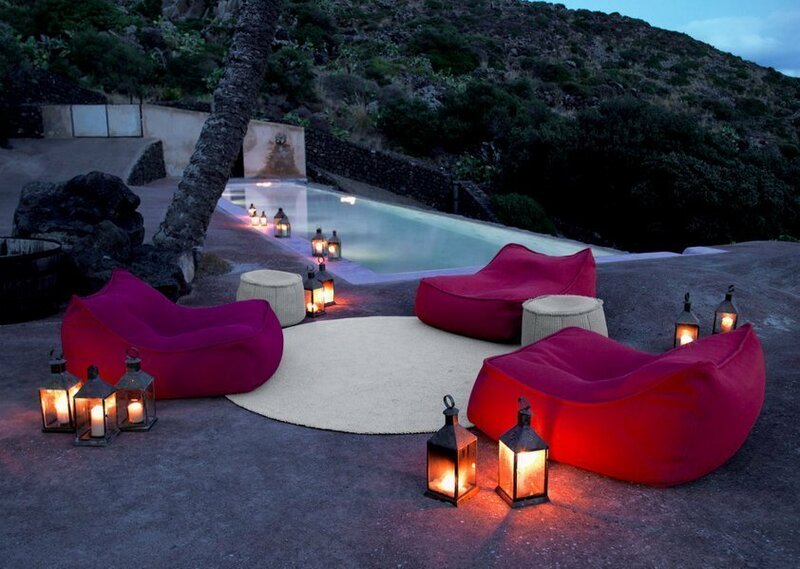 To add some warmth and romance to your home, incorporate sunset colors like red, purple, orange, and pink. Triangular and star shapes and candles will help too. For instance, many people have blue bedrooms. This is calming but can lack the zest and sensuality associated with the fire element. So consider adding some red candles or even a star-shaped lantern to cast some mood lighting around your bedroom. You guessed it: Wood symbolizes growth. It also represents strength and rebirth. For more energy and health in your space, add plants or other green and brown decor. Consider art that depicts a forest or garden. Cotton textiles, wicker furniture, and wooden picture frames can also bring the outdoors in. 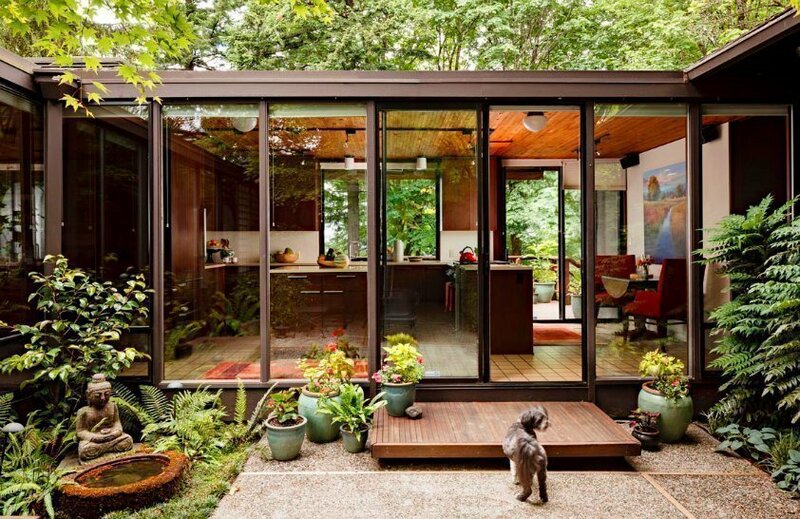 Think of the earth element as a calmer, more maternal version of wood. Earth is a grounding, peaceful, stable influence in your home. Think stones, pottery, and canyon imagery. If vivid colors dominate your furniture and art, you might need to balance them out with muted desert tones like dusty mauve, beige, and tan. They’re innately calming. Feng shui can be a fun way to mix things up in your living space. Try the parts of it that appeal to you, and don’t let it feel overbearing. And of course I’m happy to help if your home needs a little extra oomph, that decor touch you can’t put your finger on. Let’s set up a time to meet! “Fresh air and good lighting are vital.” Very true! They make the whole room look and feel better. I know what I will be doing tonight! I am new to having my own space, so I can’t wait to try this out. Great post!